ANC, EFF coalition may benefit both parties: Fikeni - SABC News - Breaking news, special reports, world, business, sport coverage of all South African current events. Africa's news leader. The EFF emphasised that there are no talks with the ANC about working together in 2019 before or beyond. 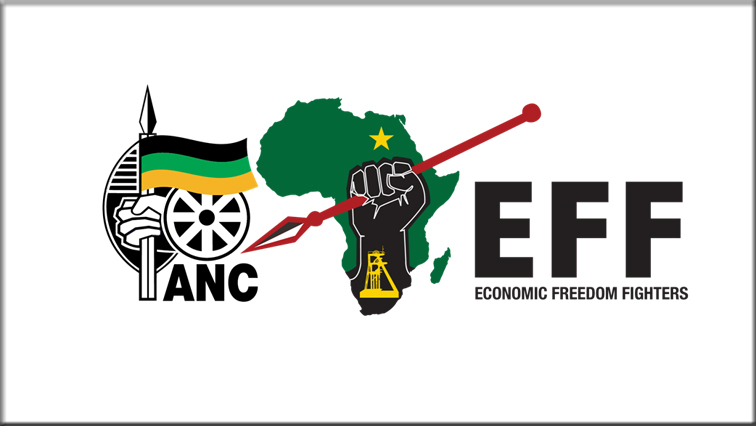 Political analyst Somadoda Fikeni says there are clear signs that the Economic Freedom Fighters (EFF) may soon be forming a coalition with the African National Congress (ANC) although the EFF is denying reports to this effect. Late ANC stalwart Winnie Madikizela-Mandela had expressed her wish to see EFF leader Julius Malema either return to the governing party, or allowing his party to cooperate with the ANC in the national interest. The two parties are reported to be in talks to possibly form an alliance. The EFF dismissed a front page report in the Sunday Times that it’s in coalition talks with the ANC as malicious and false tabloid journalism. “Of course we should not be naïve to think that EFF when it is in its spring time of politics, blossoming and believing that it is growing will suddenly fold up and re-join the ANC. They may want to test their strength in the next elections but there are signs that there may be greater cooperation. I do think. It may work well for both parties and they can experience growth simultaneously without affecting each other,” adds Fikeni. The EFF emphasised that there are no talks with the ANC about working together in 2019 before or beyond, adding that its attendance at Madikizela-Mandela’s funeral showed was political tolerance.